– Interesting Death of the Week with B.K. 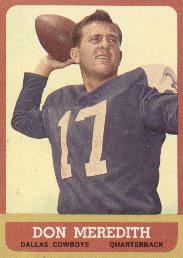 : Don Meredith – NFL commentator, former player, dandy. You are currently browsing the Videodrome Radio blog archives for December, 2010.